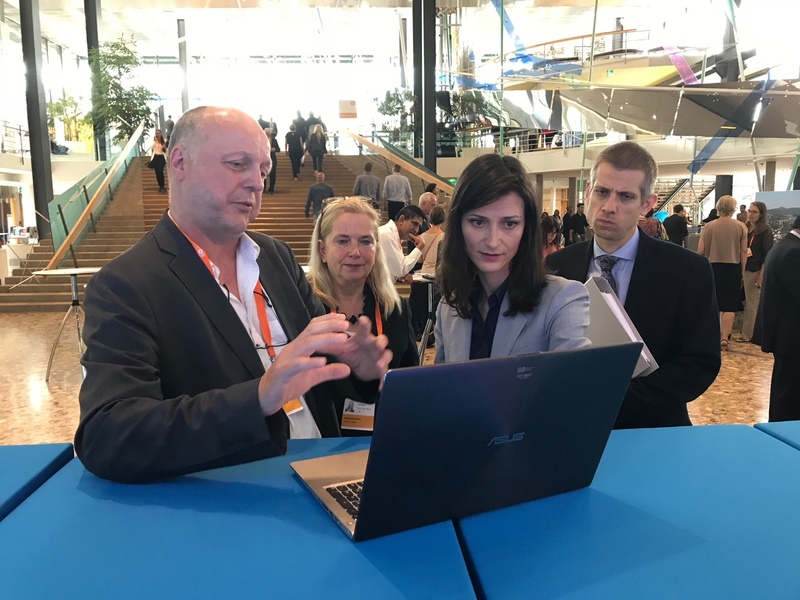 After her keynote, I had the unique opportunity to present Truly Media, our tool for collaborative verification, developed by ATC and Deutsche Welle, to the EU Commissioner. Mariya Gabriel was rather pleased with – and interested in – what she saw. She also inquired about possible uses of Truly Media across Europe and / or on the EU level. All this has to be seen in the context of the EU’s initiatives to fight misinformation, something that was initiated by Mariya Gabriel and her Directorate for the European Commission. 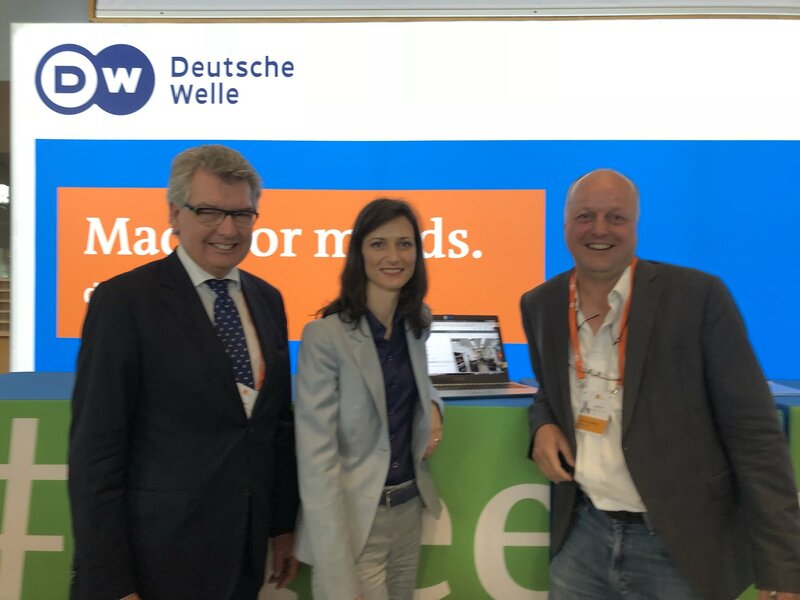 I, also on behalf of my team at Deutsche Welle, was very grateful for having been given the opportunity to showcase Truly Media to the Commissioner in charge of the Digital Economy and Society.